In 2009, Street Fighter IV revitalized the fighting game genre. 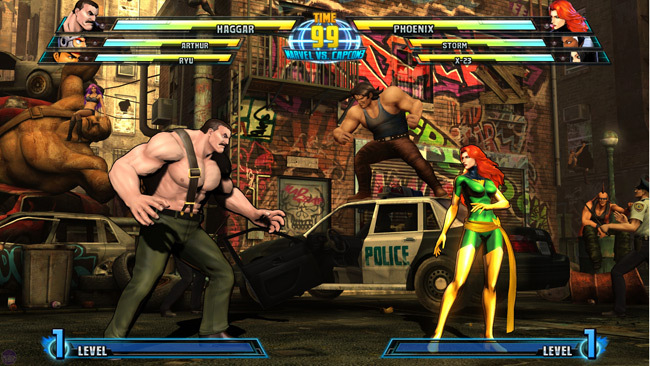 A mix of old and new, the stylish, confident brawler received universal critical acclaim and sold millions worldwide. Fighting games became relevant in ways they hadn't been in years and the future seemed bright. Now in 2016, the recently released Street Fighter V has a lot to live up to. So far, the game hasn't come close to the monumental success of its predecessor and many are upset at serious issues like broken matchmaking, no immediate punishment for those that quit during a fight, and a lack of basic features. Such backlash is likely to blame for underperforming sales. Currently, Street Fighter V is moving fewer units than Street Fighter IV did seven years ago. Yet there is a silver lining. 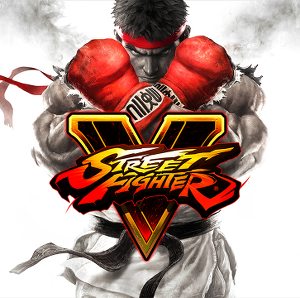 Some professional players believe that Street Fighter V is a more "honest game" than Street Fighter IV, calling it a sort of back-to-the-basics approach that's reminiscent of Street Fighter II. The extremely demanding and frustrating aspects of Street Fighter IV are gone, leading to matches that feel faster and more aggressive. The competitive community seems to largely approve. Street Fighter V broke registration records for EVO 2016, the largest fighting game tournament in the world. The game resonates most strongly with an audience that already "gets it." It's a problem that's plagued the genre for decades and it's easy to theorize why. Many fighting games lack sufficient tutorials, require difficult commands, and feature story modes so underwhelming they rarely deserve mention. Plus, fighting games have their own terminology. Words like "footsies," "meaty," and "mixup" are hard to intuitively understand, creating a mental barrier for a large number of people that think "this is too hard for me." However, such a mindset is increasingly difficult to sympathize with. The proliferation of social media, video-sharing sites, and streaming platforms enables top players to teach others more effectively than ever. Justin Wong is widely considered one of the greatest fighting game players of all time. He's won eight EVO championships and unlike many of his peers, Wong is highly competitive in a variety of games instead of just one or two. During his Twitch streams, he regularly allows viewers and subscribers to challenge him. Not only do they get to test their skills against a top player, but Wong goes out of his way to offer feedback, providing specific examples of how they can improve based on what he sees. Wong is just one example and there are others who take a similar approach. Even Daigo Umehara, the most revered Street Fighter player, started streaming within the last month. Some players, such as Ryan "Gootecks" Gutierrez, have taken things a step further. In addition to streaming, Gootecks makes instructional videos on YouTube and offers paid individual training sessions. Just last year he published a book about how to get better at Street Fighter. The type of education Gootecks provides is somewhat different than what you might expect. Instead of focusing on flashy combos or which characters are the best, he breaks down fighting game elements to the most fundamental level possible. Gootecks teaches beginners how to get into an appropriate mental state, how they should train, and what to learn from defeat. Like any sport, he preaches commitment to growing over time rather than trying to learn everything all at once. He even has a video on how to properly hold a fight stick. Yet these efforts haven't propelled fighting games to the top. Other competitive games such as League of Legends, Hearthstone, and Counter-Strike have exponentially larger audiences than any single fighting game and consequently much bigger tournament prizes. Perhaps that's because the fighting game genre is still trying to figure out its identity in a market that functions much differently than the arcades of the 90s. Street Fighter V wants to be a part of that evolution, positioning itself as an ongoing service that will dramatically change over time. The community has to grow as well by moving past some of its biggest mistakes and battling against preconceived notions. The most notorious controversy occurred in 2012 during the Capcom produced reality show, Cross Assault. The show was created to promote Street Fighter x Tekken and two teams were formed to represent each side. One of the female players on the Tekken team, Miranda Pakozdi, was sexually harassed by her coach, ArisBakhatanis. The video is just as hard to watch today as it was four years ago. In it, Bakhatanis asks Miranda her bra size, incessantly talks about her thighs, and even requests she take off her shirt. The inexcusable event put the community in a bad light, but there were many who rose up to defend the FGC. GameSpot ran an article featuring five competitive female players. One of the players, Jessica Jeensalute, described the fighting game community as a "family", and like any family, it "...can be a bit unruly at times, but those are a few isolated incidents." The same sentiments were echoed by an article on Shoryuken, a well-respected fighting game website. In it, the author advocates tolerance while also promoting and celebrating positive aspects. "It's not about coddling women or sanitizing the scene. It's about instilling a common sense of decency and calling out the blatantly bad behavior that today often gets a pass." This year's Winter Brawl, a large fighting game tournament on the East Coast, is a perfect example of both the good and bad found in the community. Filipino Champ, regarded as one of the more aggressive personalities in the scene, challenged the 2015 Marvel vs Capcom 3 EVO champion Kane Blueriver to an exhibition. During the exhibition, Champ screamed insults at Blueriver inches away from his face. At one point, Champ even let Blueriver win a match in a taunting display of pity. Throughout the entire event, Blueriver kept his composure, refusing to let Champ's behavior get to him. Despite horribly losing the exhibition, a different story occurred during the actual tournament. Kane Blueriver managed to defeat Filipino Champ in a gripping grand finals set. Although he had the perfect opportunity to gloat during his victory speech, Blueriver didn't say anything negative. Instead, he humbly thanked everyone who helped him along the way and stated he could still improve as a player. It was an incredible moment in a community where incredible things happen constantly. Fighting games and the people who play them can't be easily defined. The passion that's clearly visible at every major tournament is inspiring, as are the individuals that spend so much time appealing to new players. You may have heard that fighting games are hard or that the community is filled with bullies, and although bits of truth exist in those statements, it doesn't paint the full picture. It's uncertain what the future holds for Street Fighter V after such a rough start, but there's no doubt the game's most devoted fans will persevere one way or another.